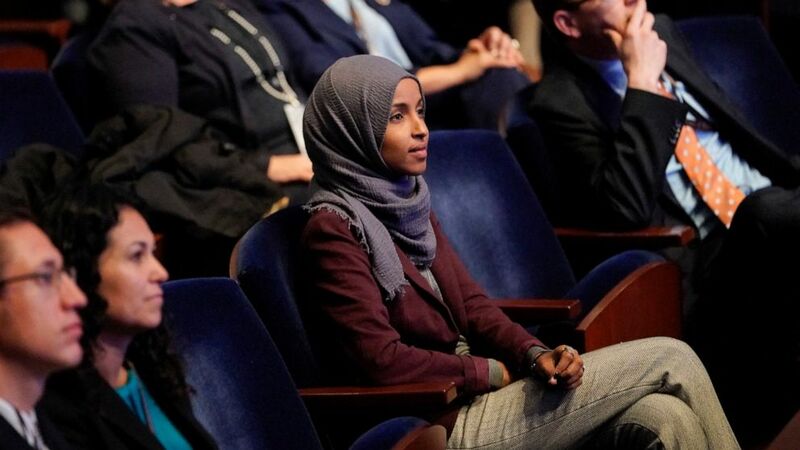 Omar was met with backlash for remarks she made earlier this year on Israel, including comments that American supporters of Israel are pushing people to have " allegiance to a foreign country ." Some people perceived Omar's comments were anti-Semitic. She later apologized, saying "anti-Semitism is real and I am grateful for Jewish allies and colleagues who are educating me on the painful history of anti-Semitic tropes."